This event of swim, bike, and run are reinvented by “swimming” through two NEW EVENTS of the 22 ft. Double Dolphin Water Slide and the Inflatable slip-n-slide, biking on Big Wheels and tricycles, and running through mud puddles and over hay bales! Open to any youth up to 16 years old. Heats start at 1:00pm. After all race participants cross the finish line, the fun continues…slides, mud and bikes open for everyone (parents too)! 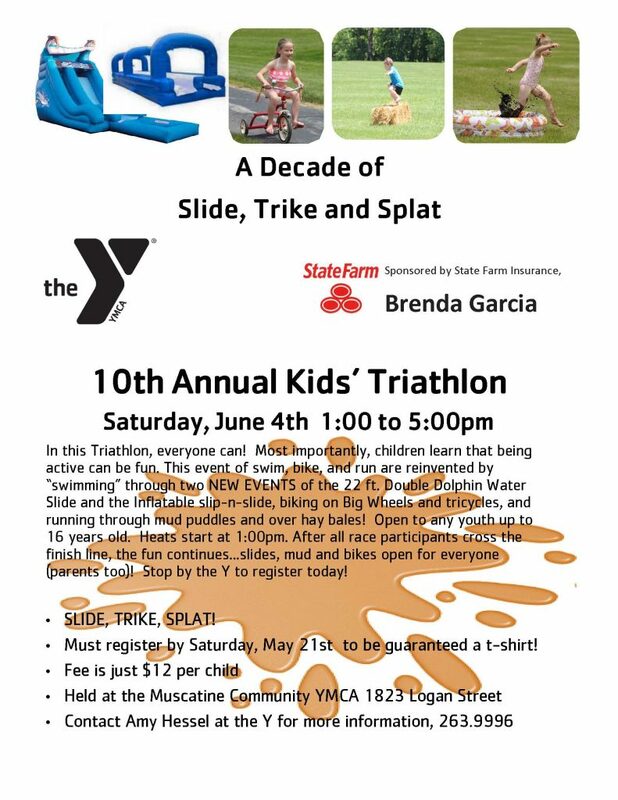 Stop by the Y to register today!